One of the criticisms leveled at “unschooling” by the misinformed is that it’s “unparenting” – meaning that it’s the easy way out for lazy parents who “allow” their kids to do nothing all day, presumably watching television or zombifying in front of a computer screen. It’s a silly stereotype, of course, and one that highlights our society’s disrespect for and lack of trust in children and young people. It also misunderstands the role parents play in life learning. Yes, life learning children are in control of their time and how they fill it, for the most part. But that doesn’t mean that their parents are absent from their lives and their learning. In fact, we’re much more a part of our children’s lives than any school teacher; it’s just that our role is quite different. We understand our role as one of responsibility – to help open our kids’ eyes to what’s out there in the world, to support their desire to explore that world, and to share our enthusiasm for and experience of it. And that’s where it gets tricky for many people – for those observing and judging from the outside and for new life learners alike. No matter where we might fall on the unschooling spectrum, we are not teaching, motivating, coercing, or directing; we are exposing. We are acting as a guide, a facilitator, a co-learner, an exploration partner, a muse, an inspiration. Unschooling writer and mom Sandra Dodd has called it “strewing.” Describing her role as an unschooling parent on an AOL homeschooling board many years ago, she wrote, “I just strew their paths with interesting things.” Those things can be toys or other things specifically designed for kids, but they can also be the stuff of daily life. 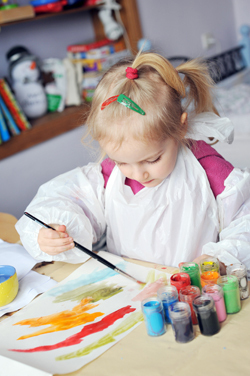 This sort of purposeful exposure to interesting things can also involve taking children places – the beach, museums, art galleries, interesting stores, concerts, walks, book launches, community meetings, construction sites, the library, city hall – and connecting them with their local community. Along the way, it’s also about tweaking their senses – pointing out smells, sounds, sights. Life learning parents can also “strew their paths” through conversation, although many adults overlook, ignore, scorn, or are too "busy" to take advantage of and enjoy those opportunities with children. By chatting with kids about the things we are interested in, we are exposing them to new ideas and experiences that they may not have considered before (and vice versa, of course). When our family was life learning, one of the most effective things I did to help our daughters learn was to share my love of life, of the world, and of living in the moment. That included a combination of things that I encountered, tasks I had to do, and places I had to go during my work day (they grew up in the midst of our busy home-based publishing business), and things and places I thought might interest them – traditionally academic in nature or otherwise. I was, in fact, (and often unconsciously) modeling curiosity, motivation, mistake-making, risk-taking, and all the other attributes of a learning lifestyle. Fortunately, I had hated my earlier four-month career as a school teacher, so I wasn’t tempted to arrange, force, artificially motivate, or require attention to what I was exposing them to. I was merely putting things out there for my daughters’ observation and possible interest, on the theory that children who live in a stimulating and rich environment where people are reading, doing, being, observing, and learning, will do the same. Perhaps that’s where those who mistake “unschooling” for “unparenting” go wrong: They are used to children who have been told to sit down, line up, be quiet, and wait for adults to tell them what they should be interested in and when. Life learning children, on the other hand, don’t just sit and wait for the world to come to them. As they did when they were infants, they actively try to interpret the world, to make sense of it. They are constantly learning...and also experiencing the pride that comes with having understood new things and mastering new skills. As the adults living with these constantly learning young people, we are most helpful when we can honor their right to set their own learning agendas, trust them to learn what they need to know, help them develop in their own ways, and provide opportunities that will help them to understand the world and their culture...and to interact with it. By exposing our life learning children to the world’s riches in this way, we are also helping them learn to make good choices. With our guidance, children are able to learn to self-regulate – to form healthy eating, sleeping, and media usage habits, for instance – without our creating and enforcing arbitrary rules of conduct, or making choices for them that they can make for themselves. By “good choices,” I mean choices that work for them, based upon their knowledge of their own needs and interests, rather than on our interests, opinions, or wishes, or on what is convenient for us. So it's important not to get invested in the things we present to our children; if they are not interested at that moment, they might well come back to it later...or not. That is their choice. Once we’re confident that our children are able to make choices that are right for them and good in the broader context (emotionally and physically safe, healthy, etc. ), we must respect those choices. 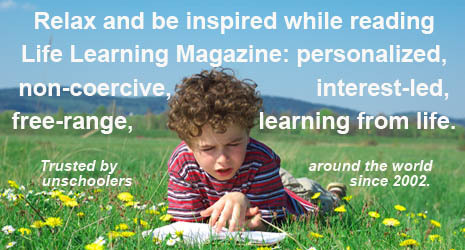 Maybe then, we can be inspired by their interests and learn from what they have discovered and experienced. Maybe then, they will be strewing our paths!